Parent Power at Epic Arts! “Before the parents started attending the Growing Class, they didn’t know how to support the needs of their children. The parents were unsure of the best ways to support their child’s development or even how their child should be developing. After joining the Growing Class, the parents are more confident in supporting their children. 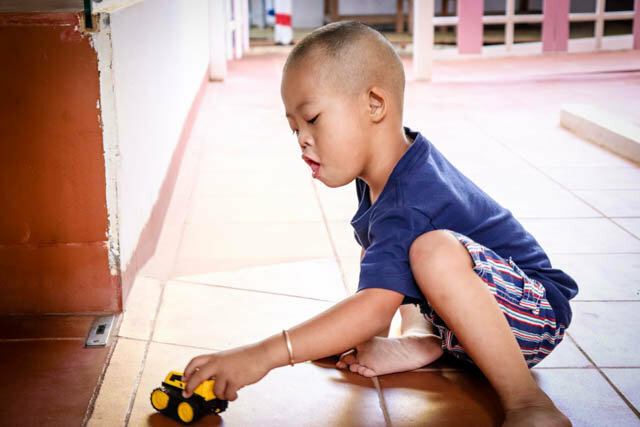 Many of the children are living in communities where their neighbours refer to the child as their disability (Deaf, Blind, Brain Problem) rather than the child’s given name. I’ve heard from the parents that they now feel that they can discuss disability openly with people in their communities and that they can explain to people that their child has a name and not to call them by their disability. Having a child with a disability can isolate you so I think it’s important to have a place where parents of children with disability can meet because they understand each other’s feelings. I’m happy to see that the parents have good relationships. I often observe the parents, at snack time they will all talk and share stories together about their child’s experiences, as soon as one parent stops another parent will pick up the conversation and follow on with a similar story. 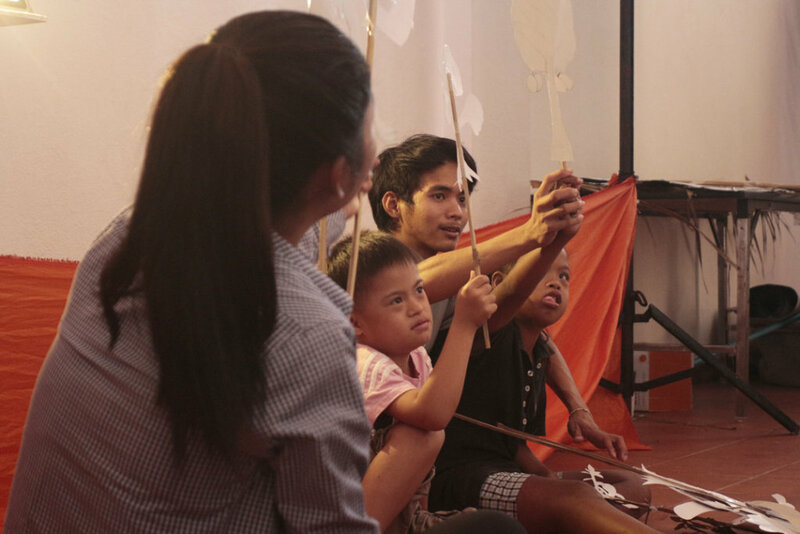 Kagna and the rest of the Epic Arts Special Education team are excited to hold more classes in 2019 as part of the Childhood funded project. If you’d like to keep support parents of children with disabilities, please consider setting up a reoccurring donation for 2019! I Want My Son to Go to School! 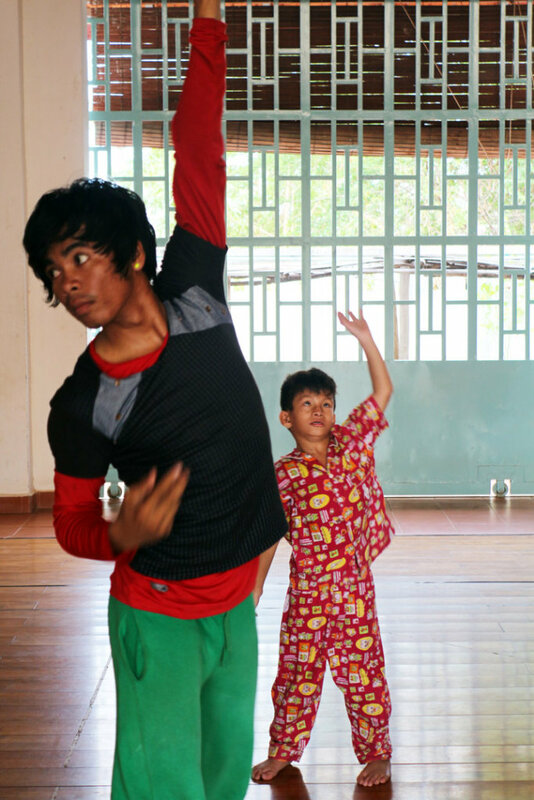 Thank you for supporting Epic Arts and our mission to create a world where every person counts! Earlier this year we announced our newest class, Growing Class, a weekly class for 3 - 6 year old’s with disabilities and their caregivers. “I want him to go to public school in the future. My son is 6 years old, I knew he had a disability from a young age but I wasn’t sure what kind of disability. 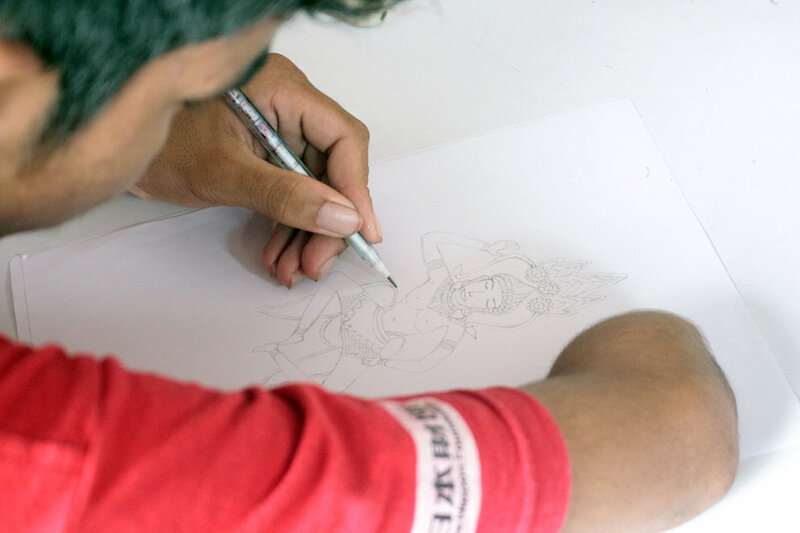 When I joined Epic Arts the teachers told me that from his behaviour and their experience with other students that they could tell he is autistic. I am very happy that my son can join the class at Epic Arts.Coming to the class is beneficial for him because it has helped him to build social skills with other students by playing together with friends in the class. 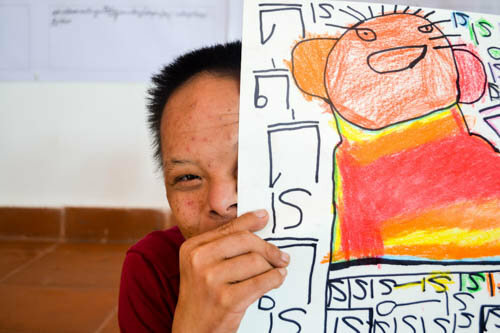 He will also get good learning experience from the teachers, because the teachers at Epic Arts have a lot of experience with children with disability. I feel good about meeting other parents who also have children with disability. I can ask them about what’s happening with their children, and we can discuss real life stories. 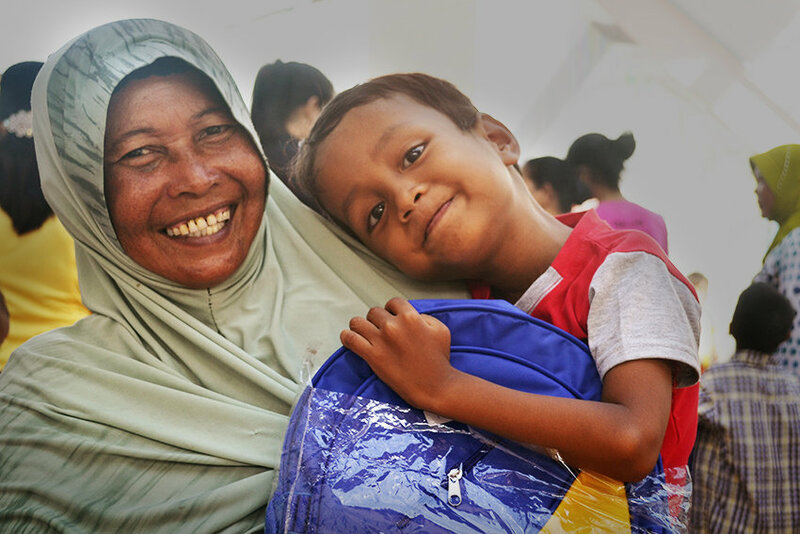 I feel quite lucky because I have a supportive family who accept my son, I feel that I can be supportive to the other mothers in the class”. 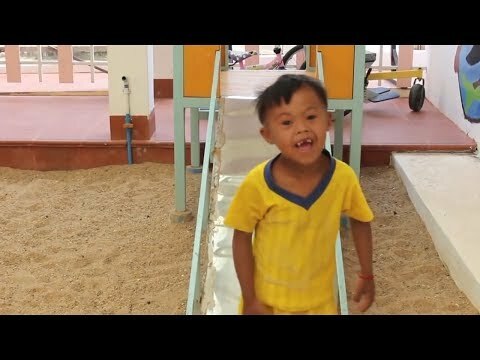 We currently have 8 young children with disabilities attending the class and it’s going well. Teachers and parents are seeing positive changes and because of this we’re planning on adding another class for the students! 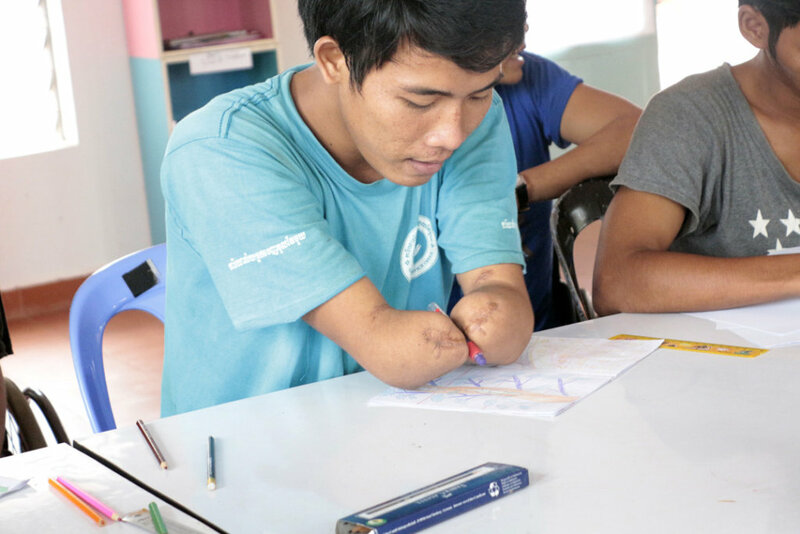 If you’d like to support families like Thyna’s to help children with disabilities receive an education please consider setting up a reoccurring donation for 2019! Happy New Year from the Epic Arts Team! Students Show Schools That Every Person Counts! Epic Arts Students Celebrate the Tour! 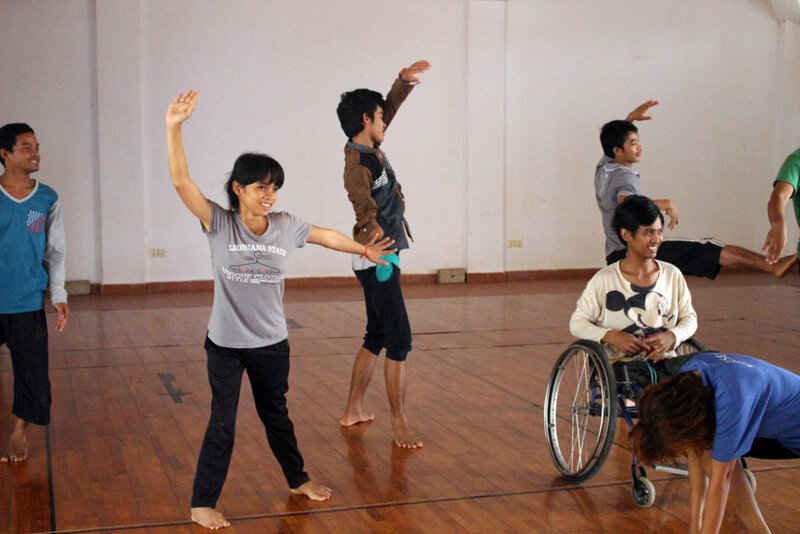 The last few weeks have been pretty exciting for the 13 students on our Inclusive Arts Course (IAC). 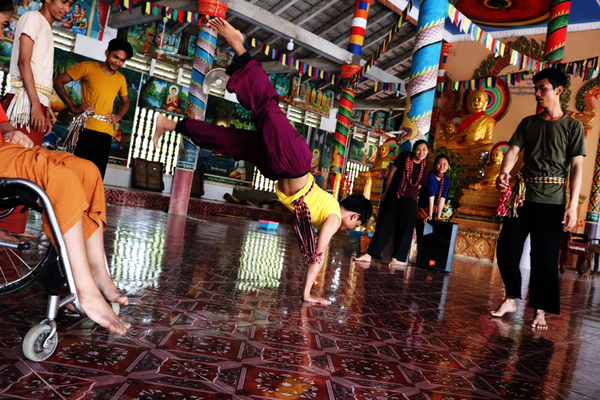 The students embarked on a local tour of Kampot province, performing dance, music and drama outside of the walls Epic Arts for the first time. 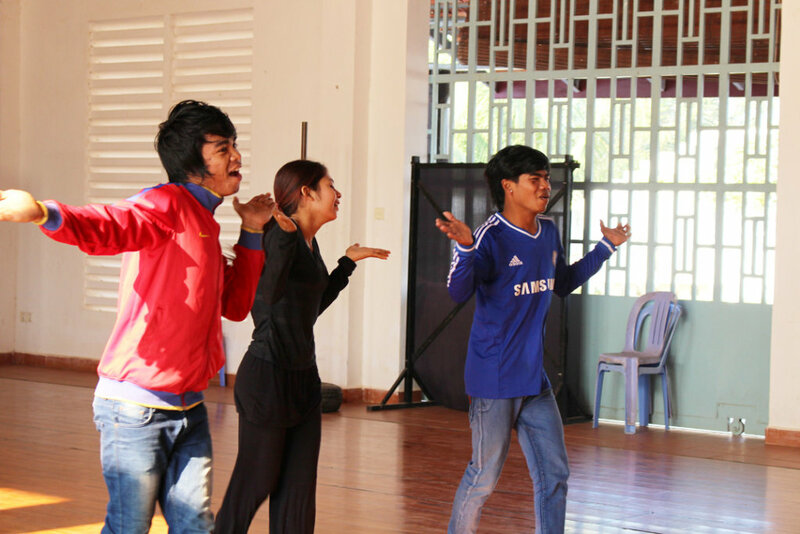 Over four days the IAC students visited 7 local primary schools and NGOs to perform for over 700 children. The students have been focused on creating the show during the past term, the dance performance was inspired by the term’s theme "The value of art from around the world".The show started with a contemporary dance piece inspired by the music and contemporary dance from Africa, the students performed animalistic-looking movements from the beating of the birds’ wings to the prancing of a gazelle. While the ensemble sections of the piece had been choreographed by Caroline, each student choreographed a solo by themselves. The best ones were then chosen to showcase. 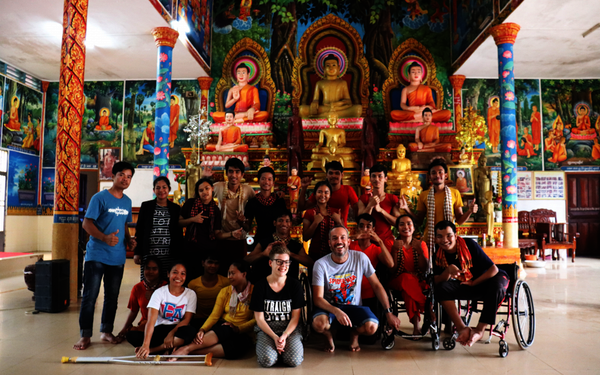 At the very end of the tour, after their last performance at a school in Kep, the students and teachers of IAC headed off to a well-deserved afternoon at the beach, where they celebrated the success of the tour. The whole team at Epic Arts are so impressed about how much they improved in such a short amount of time in both organisational and performance skills and we couldn’t be prouder. 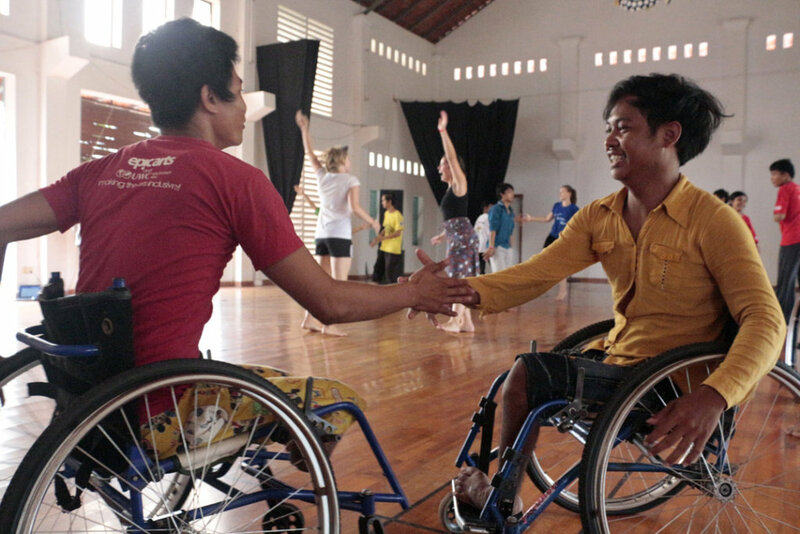 Thank you for donating to the Inclusive Education Programme, wihout your donations our students wouldn't be able to attend our Inclusive Arts Course, which has transformed their self esstem and confidence. Please consider setting up a monthly gift to our programme to enable our studnets continue building their confidence and artistic skills. 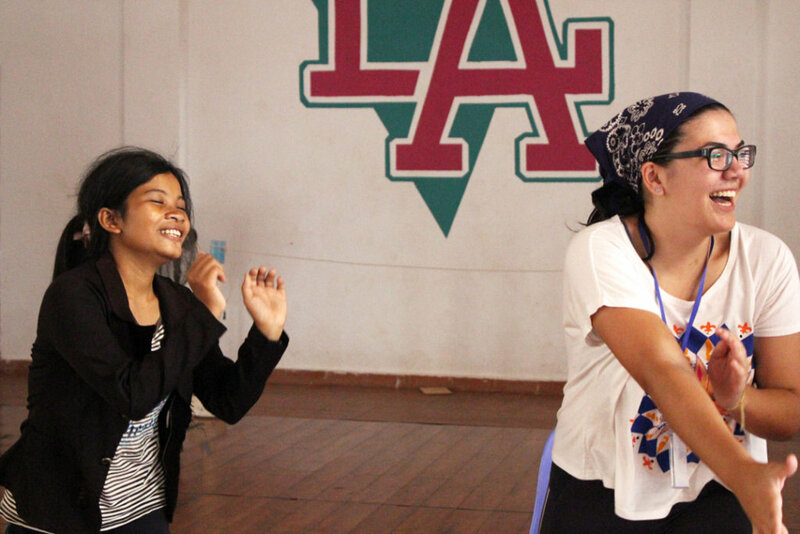 Students Show Off Their Dance Moves! Check Out the Tour Video! This month our Special Education Project was awarded national recognition from the Ministry of Education, for the work we’re doing with children and young adults with learning disabilities. 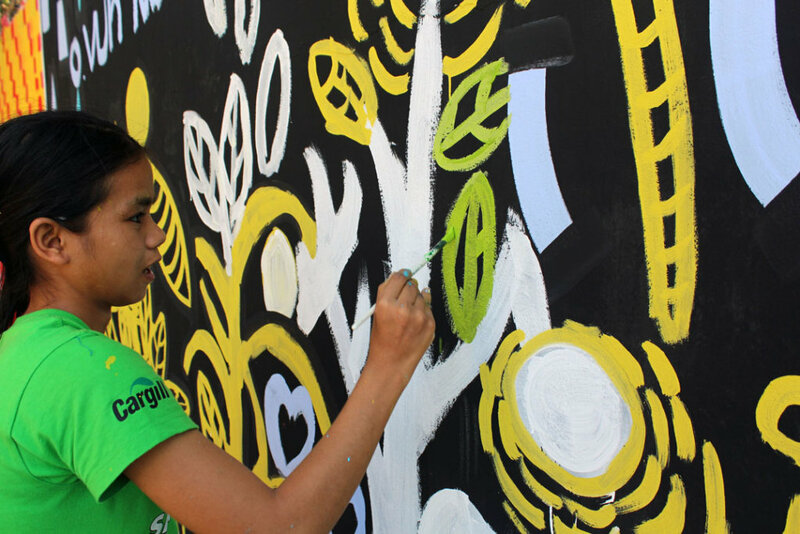 “It’s amazing that the government have recognized our work at a national level because the work we do is not just inclusive education, it’s inclusive education through the creative arts. 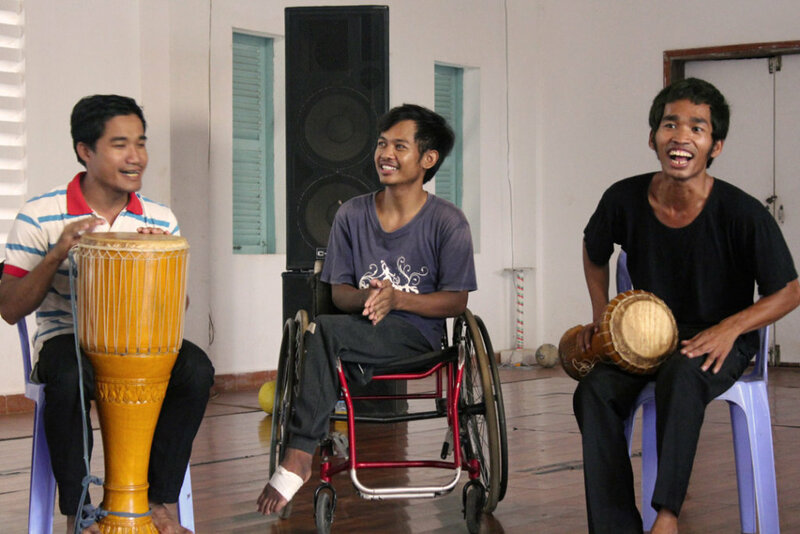 Inclusive Education through creative arts is a unique concept in Cambodia and Epic Arts are pioneering the way forward. 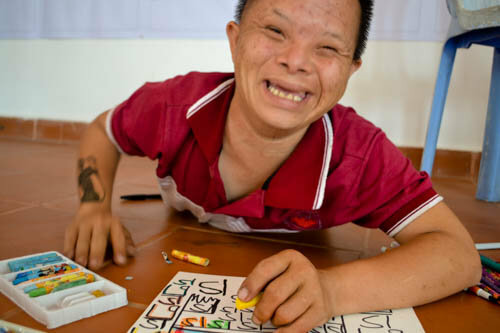 I believe that the arts are the key to making inclusive education move forward and help even more children with learning disabilities access education . 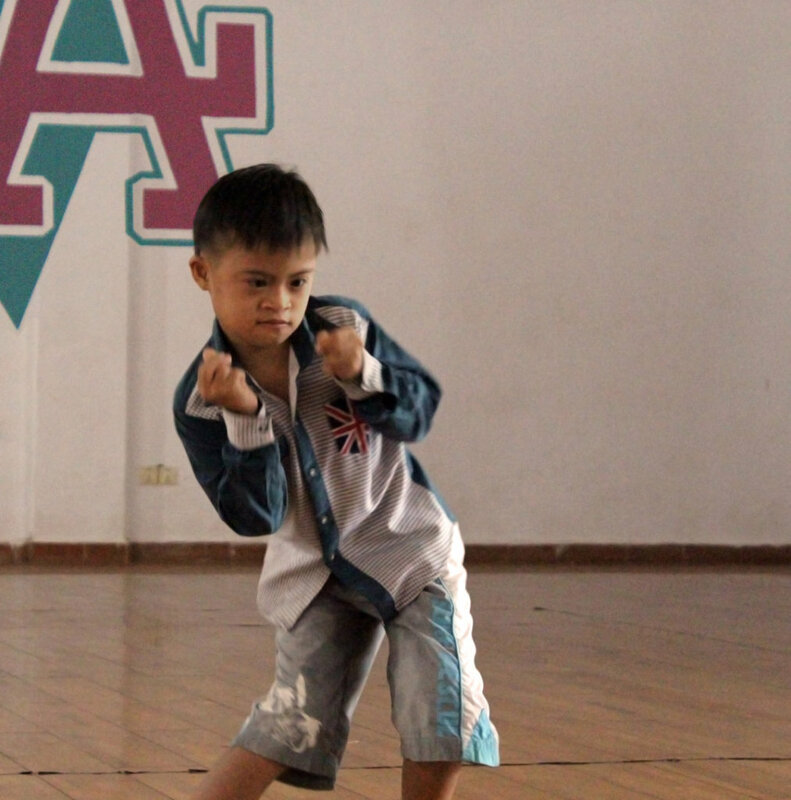 We currently run three classes for children from age 3 to 27 with learning disabilities. Each and every child in our classes has a individual learning plan and personal targets to help them progress and develop. We have 33 students and our classes are small so that teachers can give attention to every student. 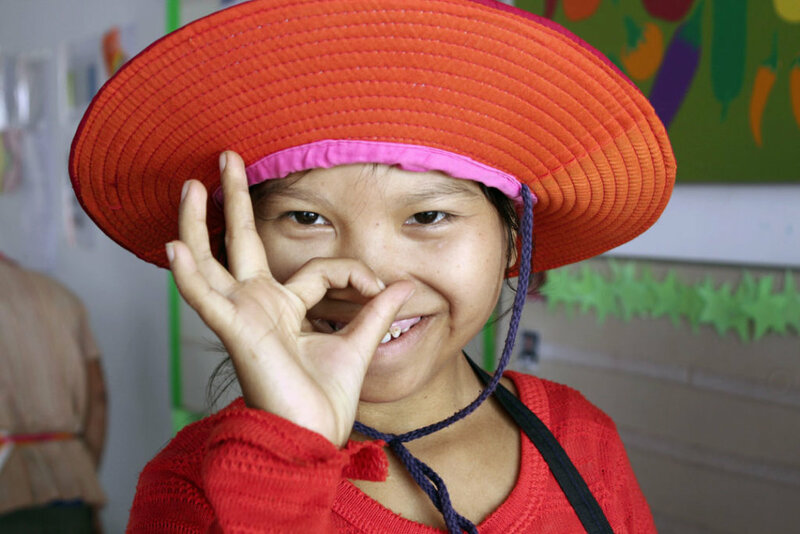 In Kampot, we’re the only organisation offering education for children with learning disabilities. 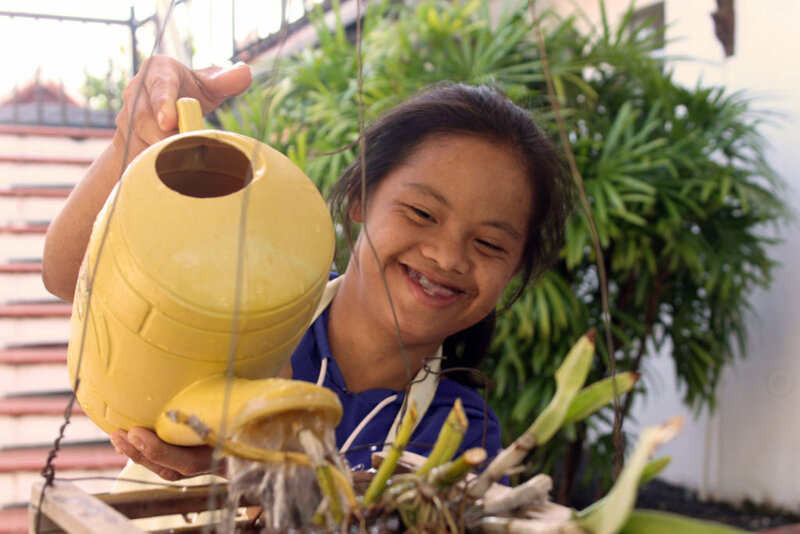 Children with down’s syndrome or autism aren’t accepted into the public school system and there is limited knowledge about inclusive education. 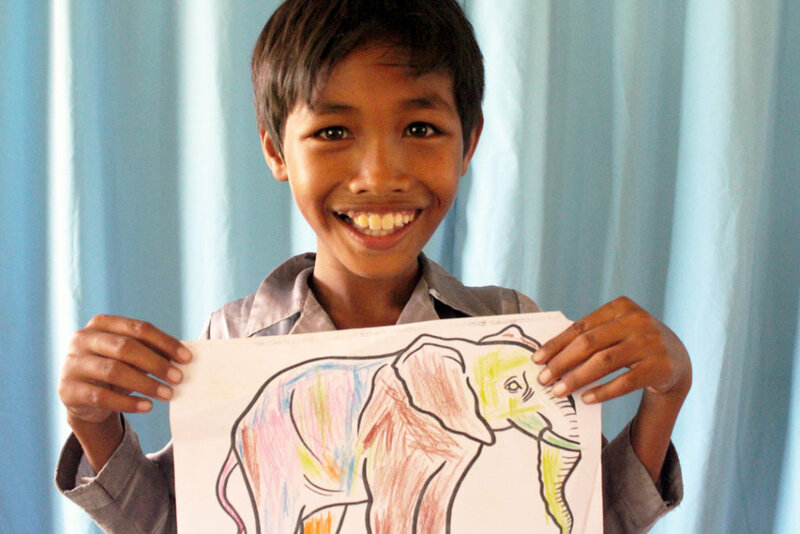 Our Special Education Project couldn’t run without your donations. Why not set up a monthly donation this year to help us continue our work. 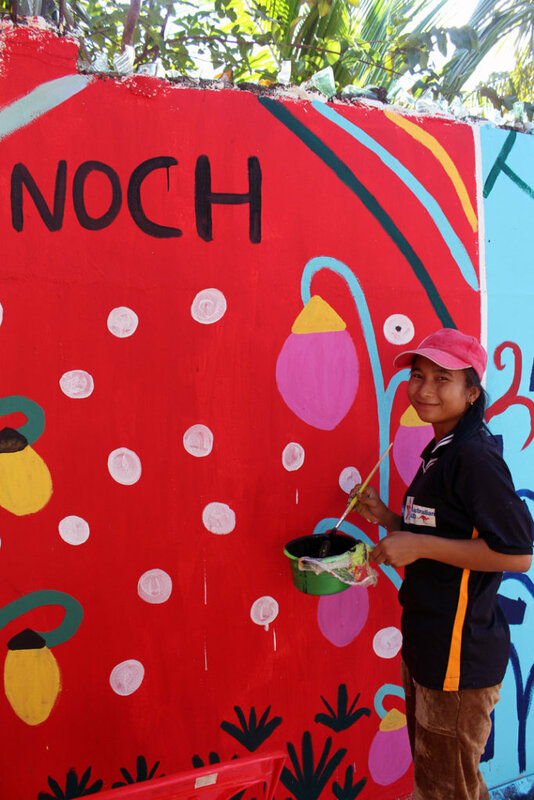 As little as £10 a month can help pay for the tuk-tuk to bring children to our centre, buy fresh fruit and snacks for the children or buy the materials and resources which the teachers need for their classes. 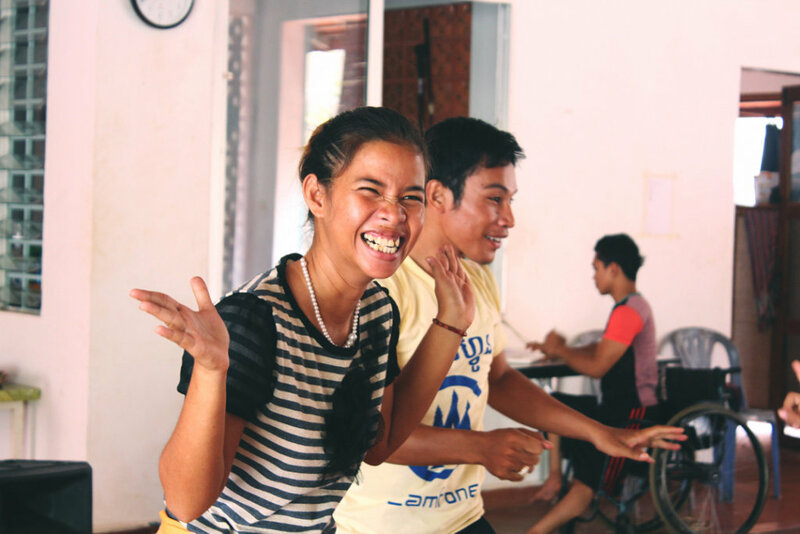 Thank you for donating to Epic Arts Inclusive Education Programme (IEP) because of your donation we’re able to transform lives by providing education to young people with disabilities, who without our programme wouldn’t have the chance to have access to education. 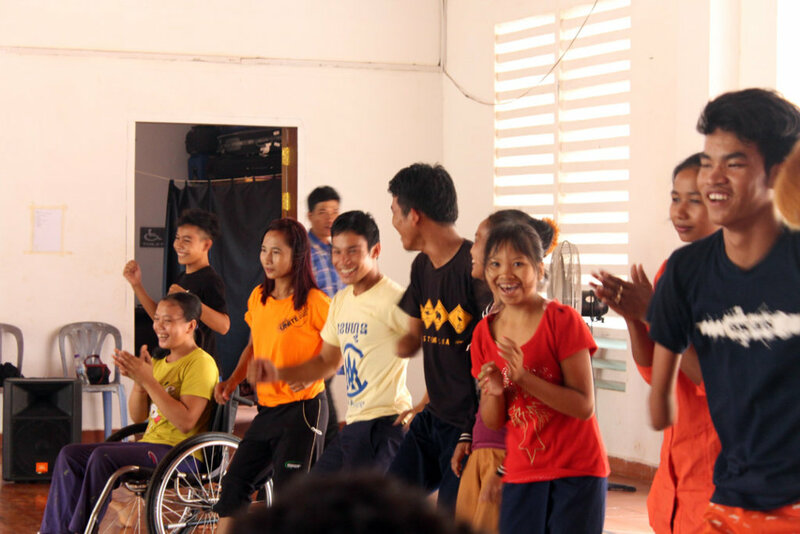 Currently we have students aged from 7 to 27 involved in our Inclusive Education Programme. We felt we were missing an important demographic, so we have an exciting update for the IEP. 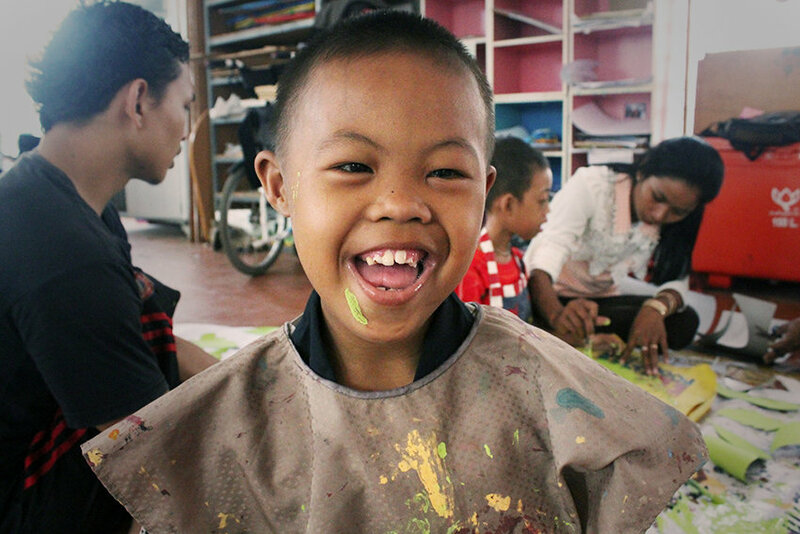 In May we’re opening our classrooms to pre-school children with disabilities from 3 – 6 years old. Ten children with disabilities and their parents will join an informal weekly class where they’ll build important social skills and learn through play. The children will make new friends and their parents will find a supportive network with each other and with our teachers. Following a three year project with Aide et Action, to integrate children into the public school system, we’ve seen the need for children with disabilities and their parents to be supported into that process. We believe that our new class will help change families perceptions around disability and what their child can and cannot do. When the time comes, Social Worker, Chanthat will work closely with families to create an individual exit strategy for each child. The student will be assessed and supported in their next step whether that’s moving to another class at Epic Arts, or Epic Arts lobbying for the child to be enrolled at their local school. We’re creating this new class because learning benefits every human being and we believe that every child deserves an education regardless of ability, gender or race. 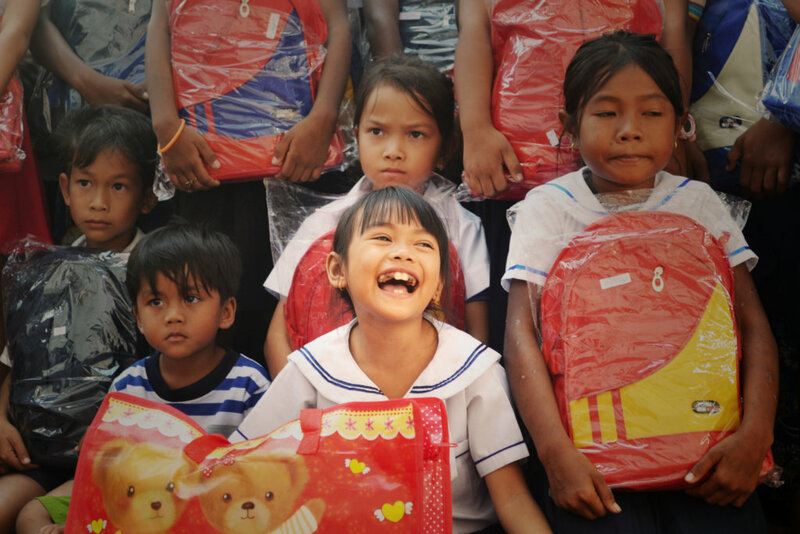 If you believe that education should be available to all children consider setting up a monthly donation to help us work towards the Global Goals #4 – Qualtiy Education & #10 Reduce Inequalities. Supplies a child with art supplies. Buys enough fuel to bring SEP students to school for one month. 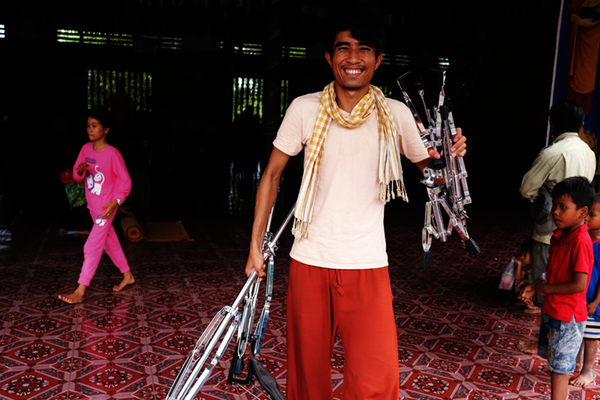 Enables our Social Worker to find more children with disabilities. Pays our Teachers for one month. Funds a student for a year. Funds a student for two years.